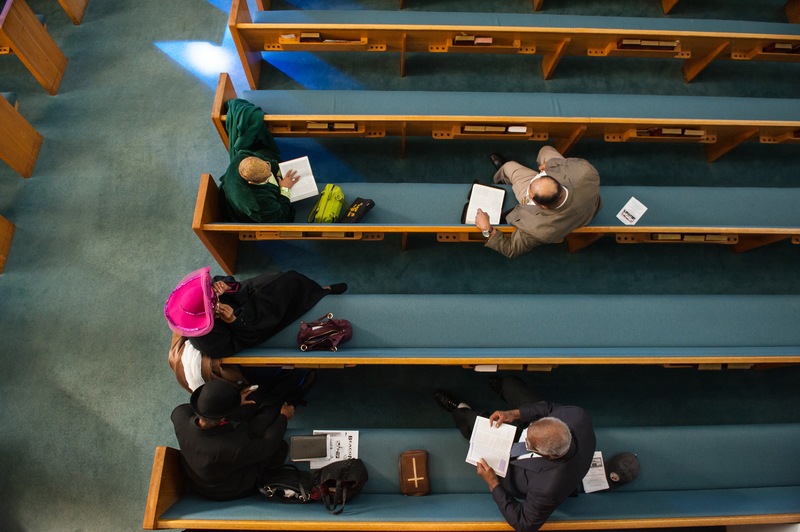 A historic African American church in Pittsburgh is defending its right to hold its own pastor accountable for failed religious leadership. When Sixth Mount Zion Baptist Church terminated a pastor's employment due to his poor leadership, the former pastor sued the small church in federal court in 2015, demanding over $2.6 million. Sixth Mount Zion, represented by Becket, is defending its First Amendment rights at the U.S. Court of Appeals for the Third Circuit. The U.S. Supreme Court unanimously recognized those rights in Becket’s 2012 victory, Hosanna-Tabor v. EEOC. In September 2018, the Third Circuit ruled 3-0 for the church, stating that the First Amendment prevents courts from deciding questions of spiritual leadership. The Third Circuit’s ruling bolsters the right of all houses of worship to select their leaders—a right called the “ministerial exception." Lee v. Sixth Mount Zion Baptist Church. The Becket Fund for Religious Liberty (n.d.). Retrieved from https://www.becketlaw.org/case/lee-v-sixth-mount-zion-baptist-church/. Lee v. Sixth Mount Zion Baptist Church. (Apr. 04, 2019). https://www.becketlaw.org/case/lee-v-sixth-mount-zion-baptist-church/. "Lee v. Sixth Mount Zion Baptist Church." The Becket Fund for Religious Liberty. Accessed [Apr. 04, 2019]. https://www.becketlaw.org/case/lee-v-sixth-mount-zion-baptist-church/. Sixth Mount Zion Baptist Church is a small, historic African American church in Pittsburgh. Founded in 1899, its current worship services host about 100 people. The community served by Sixth Mount Zion is one of Pittsburgh’s poorest: one-third of the households in its neighborhood are headed by single moms, one quarter of the houses sit vacant, and one person is unemployed for every three that have a job. To support its community, Sixth Mount Zion hosts a number of ministries to the poor, including a monthly food-bank. In December 2012, the membership of Sixth Mount Zion called Reverend William David Lee to be its pastor. As the church’s pastor, Reverend Lee was expected to be the “only leader of the flock.” This meant leading the spiritual life of the church, including leading worship services, educating the congregation, and conducting weddings, baptisms, and funerals. Three months after taking over the church’s leadership, Rev. Lee insisted that the church sign a contract giving him a 20-year term in office. When church members expressed concern, he assured them that they could still fire him if they believed he wasn’t leading the church in the right direction. But two years after Reverend Lee became pastor, it became apparent that church life had changed under Lee’s religious leadership—for the worse. A joint board of church deacons and trustees found that membership had plummeted 61 percent, Sunday worship attendance had dropped 32 percent, and tithing and offerings had decreased 39 percent, while church expenses had increased 200 percent. Concerned for the church’s future, the church membership voted to have Rev. Lee step down from the pulpit in January 2015. In September 2015, Rev. Lee sued Sixth Mount Zion and eleven of the church’s lay leaders in federal court for $2.6 million. In August 2017, the court rejected Rev. Lee’s lawsuit. Relying on Hosanna-Tabor, the court ruled that judges cannot second-guess a church’s decision about the quality of its pastor’s religious leadership. Freedom of groups to choose their own leaders: Becket’s 2012 Supreme Court case Hosanna-Tabor set a precedent on this issue for churches. Freedom of religious groups from state intrusion on religious affairs: Both church and state are better off when the state isn’t evaluating the internal religious decisions of a religious ministry. Grussgott v. Milwaukee Jewish Day School, Inc.